HAZEL Landscapes + Design, LLC provides consultation, design and installation for gardens and landscapes of all shapes and sizes, and for all budgets. We apply sustainable site design practices to all of our work, including vegetable gardens, ornamental plantings, play areas and gathering spaces. We work closely with our clients to create custom designs that invite full use and enjoyment of the landscape, and to inspire stewardship while realizing each garden’s potential for beauty and bounty. Our plant choices are inspired by the hardworking native plant communities of the Pacific Northwest: resilient, vibrant and low-maintenance. Our work relates closely to the New Perennial Movement in landscape and garden design. Annika McIntosh, Landscape Designer, has been learning, growing and adventuring in the Pacific Northwest for 15 years and is proud to focus her creativity and knowledge on landscape design. Her design insights are qualified with a Bachelor’s degree in Studio Art and a Master’s degree in Landscape Architecture. Annika’s designs and recommendations are spiced with her appreciation for light, color, materials and composition that she credits to travel and the study of human movement and botanical forms. An avid naturalist and gardener from an early age, she gives attention to details and micro-climates as well as to larger systems, views, and long-range planning. 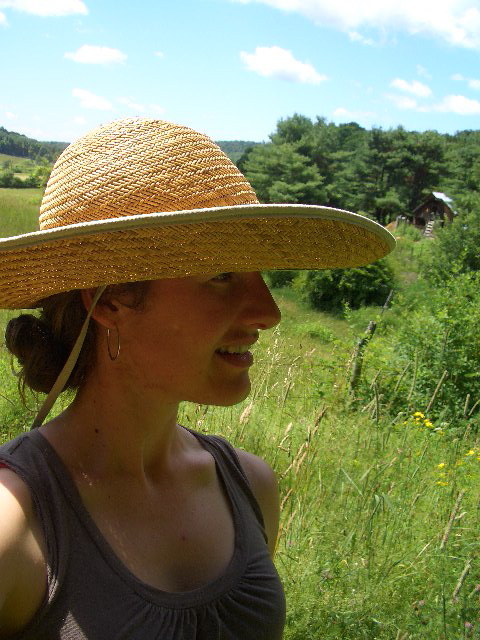 Annika’s past work and research has touched on food security, green roofs, ecological literacy and garden/nutrition education for children, urban pedestrian environments, and streetscape design in the Seattle area. She continues to be active in community design and public art projects with the Light Table Design Collective. She is also excited about the new floral design wing of HAZEL Designs, offering homegrown, seasonal flowers for everyday and special events and through a flower “CSA”. + Composition of space, forms and activities. We often “stage” a garden design so you can see how it feels. + Directing flow and circulation — visual and physical, for people, light, water, etc. Again, we walk around with you and feel out the best pathways, resting spots and views. + Planning for seasonal changes — in light, precipitation and plant displays to ensure beauty, convenience, enjoyment and productivity throughout the year. This encompasses edibles, ornamentals, rain water and structures. + Balancing design with maintenance. Native and drought tolerant plants often require less maintenance and watering. + Designing your garden as a piece of a larger ecosystem — taking into consideration birds, pollinators and the shared landscape of your street, block or neighborhood, providing native plants as food sources for wildlife. + Long term care — including irrigation, natural fertilizing and mulching, etc. This includes choosing the right plants for each space.